Sueann is the Membership Education Coordinator within the Admission and Accreditation department. 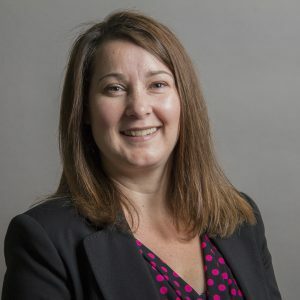 She brings over 15 years of experience working in non-for-profit organizations from the Canadian Medical Association, the Canadian Association of Occupational Therapists and the Canadian Council of Technicians and Technologists. During her career, she had the opportunity to demonstrate excellent organizational and communication skills in areas such as candidate designations, membership, accreditation, marketing, event planning and general administration. Sueann is responsible for managing the Work Product Review Program and the peer review process; she is also the primary contact for Candidate Members who have questions regarding the AACI and CRA designation process. As well as her direct involvement in assisting new members successfully obtain their designation, Sueann is actively involved in assisting the Associate Director – Member Education with other education projects within the department.